Diabetes affects the feet by reducing blood circulation, increasing the risk of infection and damaging the nerves of the feet. Diabetes Australia recommends regular foot health checks by a Podiatrist to reduce diabetic foot problems. 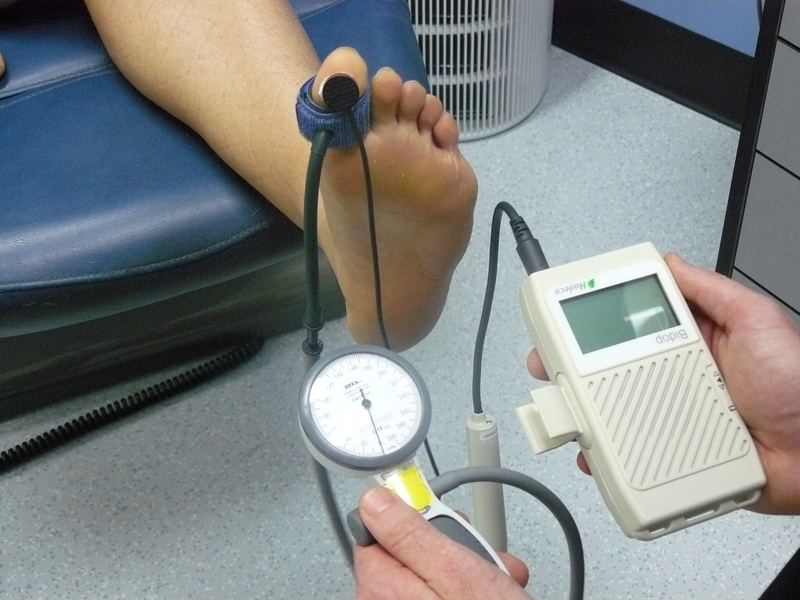 At Coorparoo Podiatry we undertake regular assessments for those that have diabetes or peripheral vascular disease to determine the status of their foot health. 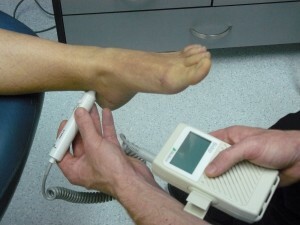 Vascular testing equipment such as doppler and photoplethysmography are used for blood flow evaluation. Sensory testing is also included. These studies are valuable to monitor changes especially for the diabetic or compromised foot. Reports are sent to your GP and Specialists. 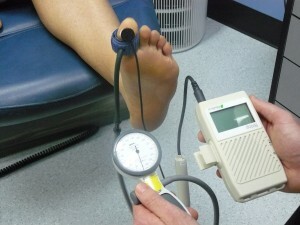 If you have Diabetes you are at higher risk of having foot complications. We can evaluate your walking patterns, footwear and advise on potential problem areas to assist you in maintaining your mobility and foot health.